Rivals hoping for an off year from the creative juggernaut were again left disappointed as it delivered a packed highlights reel worthy of a third straight title. There is one agency in London that every top marketer thinking about the future of their ad account would consider talking to. Unfortunately for the marketers and agency alike, the latter’s success in recent years means it was probably conflicted out of most of those conversations in 2016. But in honour of its position as a trusted partner to major brands as well as its continued creative and effectiveness excellence, Adam & Eve/DDB is Campaign’s Agency of the Year for the third year in a row. Creative highlights this year included another triumph for John Lewis Christmas, with "Buster the Boxer" marking a brightening in tone from last year’s melancholic "Man on the moon". Work for H&M was of a consistently high standard, including another funny film starring Kevin Hart and David Beckham and a Christmas extravaganza directed by Wes Anderson. 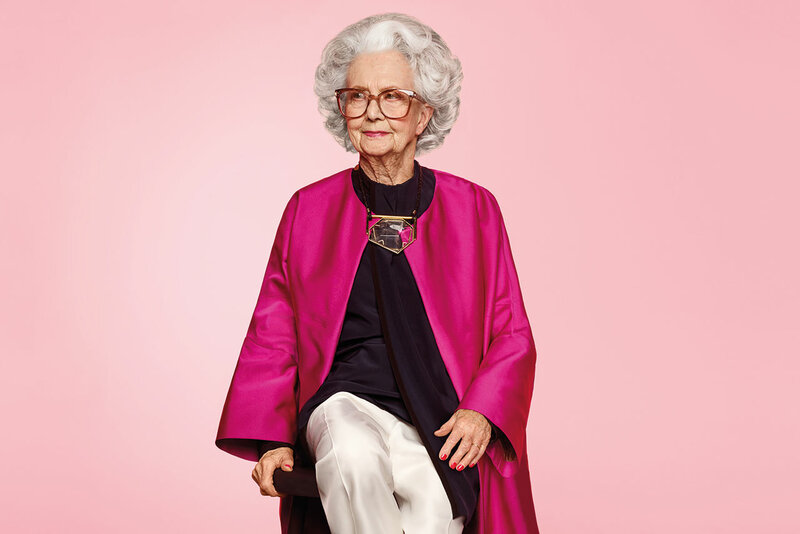 Other notable activity included expunging the colour from the Skittles rainbow to support Pride, streaming live footage from a sleepy farm for Waitrose and featuring a 100-year-old model in Vogue for Harvey Nichols. If the awards cabinet wasn’t already struggling to close, it must have needed some underpinning in 2016. Adam & Eve/DDB won another two Grands Prix at Cannes: Creative Effectiveness, for John Lewis, and Film, for Harvey Nichols – its sixth and seventh in three years. The shop was also named Agency of the Year at the IPA Effectiveness Awards after picking up its third Grand Prix in a row, for John Lewis. If that wasn’t enough, its Campaign Big Awards haul included Press Agency of the Year and four golds. Although Adam & Eve/DDB wasn’t able to pitch for many of the biggest bits of new business up for grabs this year, it did manage to find some holes in a bulging client list. Wins included expanding its relationship with Heineken, Diageo and Google by picking up Strongbow, Tanqueray and Pixel respectively. Most significantly, the agency is planning to open in New York to service the North American Samsung account, which it snared in November. After bolstering its creative department with star teams (Abbott Mead Vickers BBDO’s Mike Sutherland and Antony Nelson and Grey’s Jonas Roth and Rasmus Smith Bech), Adam & Eve/DDB promoted its next generation of leaders. Tammy Einav and Mat Goff took over from James Murphy as joint chief executives, Ben Priest handed the chief creative officer mantle to Richard Brim and Alex Hesz replaced David Golding as chief strategy officer. Anthony Falco, meanwhile, was promoted to chief production officer. The founders, who also include Jon Forsyth, were finalising their future as the Annual went to press and are likely to take group roles. Whatever happens, Adam & Eve/DDB has had a brilliant year and the new talented team at the helm deserves a lot of the credit for that. Now the test is taking that momentum into 2017. This year was another 12 months of strong work from Wieden & Kennedy London. Its "Ridiculous possibilities" campaign for 2015 win TK Maxx gave the brand a much-needed refresh and helped UK profits rise 11%. There was also more standout creative work for Three, Lurpak, Nike and Finish. But the major reason W&K sits so high on this list is its stunning capture of the Sainsbury’s ad account, ousting AMV after 35 years. After struggling with Tesco, W&K has another chance to show it has the capacity and planning nous to run a major retail account. The agency’s success with TK Maxx should stand it in good stead. After a couple of years of making steady ground, Lucky Generals properly expanded its territory in 2016. New-business highlights included beating W&K and WCRS to Yorkshire Tea, besting Grey and VCCP in the Premier Inn review and landing the consolidated Paddy Power Betfair account. In testament to this success, staff numbers rose by 60% to 50, billings quadrupled to £48m and revenue doubled to £4m. 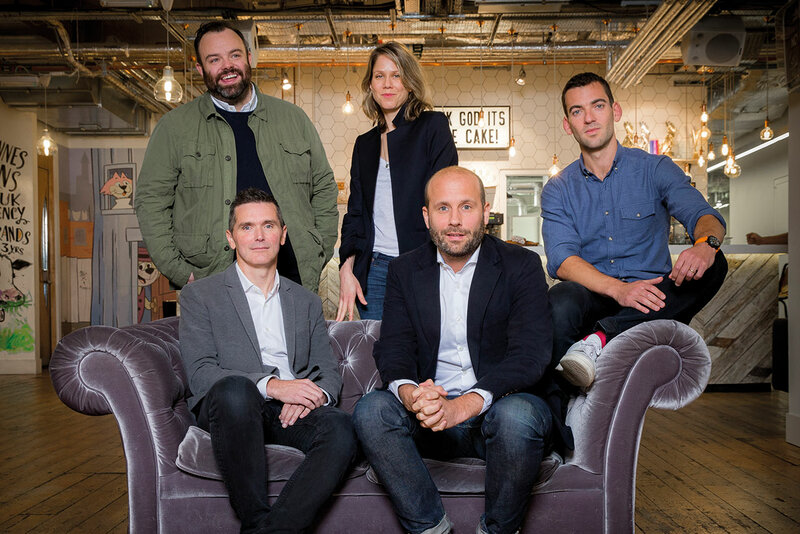 With founders Helen Calcraft, Andy Nairn and Danny Brooke-Taylor at the helm, and the agency’s offer getting more sophisticated all the time, expect Lucky Generals to be a serious contender for this prize in the years to come. After spending the first six months of 2016 fine-tuning the mechanics of its new in-house agency at News UK, CHI & Partners moved things up a gear in the second half. Parent The & Partnership dramatically scooped the pan-European Toyota business and CHI showed its continuing entrepreneurial spirit by taking a stake in new client Freedom. CHI also emerged victorious in the international pitches for McVitie’s and Godiva. With a refreshed team now led solely by Sarah Golding, and Micky Tudor and Yan Elliott (freshly poached from Lucky Generals) running the creative department, CHI looks well set for 2017. Saatchi & Saatchi gets an honourable mention for its shock capture of the integrated Asda account, unfortunately followed by the loss of Toyota at the end of the year. As it packs its final boxes ahead of the move from Charlotte Street, Saatchi & Saatchi will be hoping more brands follow Asda’s lead. Following the sensational departure of Nils Leonard, Lucy Jameson and Natalie Graeme (dubbed Grexit), Grey London’s new management team won Marks & Spencer just two months later. Less welcome in November was Vodafone’s decision to review its ad business. Creative highlights for Bose and Lucozade suggest a bright future for the agency sans Leonard.